Agrigan volcano is an active stratovolcano and the highest of the volcanoes in the Marianas volcanic arc. It contains contains a 500-m-deep, flat-floored caldera. 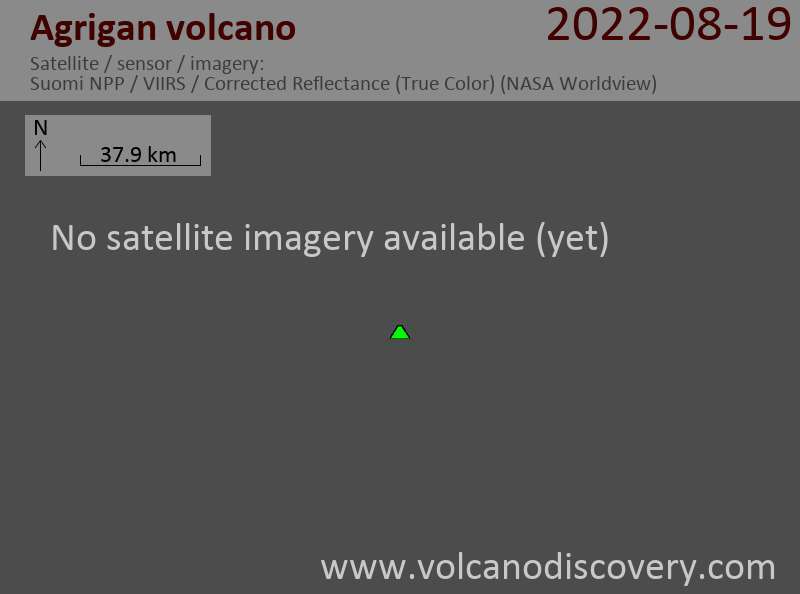 The last confirmed eruption was in 1917. 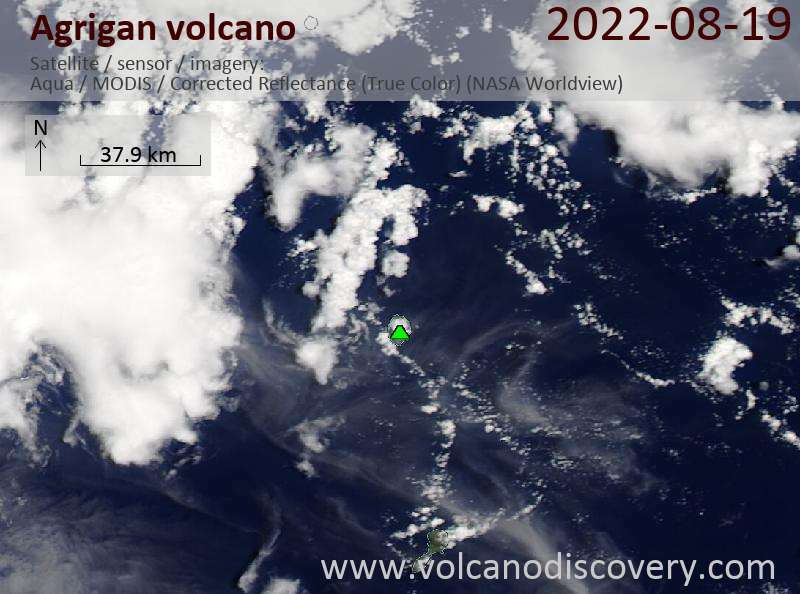 Neither USGS nor NOAA have received confirmation of a volcanic source for this anomaly and it is likely the cloud was weather-related.